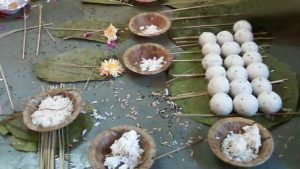 Home → Hinduism → Why can’t we eat rice on Vaikunta Ekadasi? There are many legends associated with this auspicious day. The well-known legend is that it was on Vaikunta Ekadasi that the amrit (nectar) of immortality appeared, while churning the ocean. It is a common belief that those who fast on Vaikunta Ekadasi, singing praises of Lord Vishnu, will definitely be freed from the continuous cycle of birth and death. According to belief, when a bead of sweat dropped from Lord Brahma’s forehead, it turned into a demon and asked the Lord where it could stay. Lord Brahma told the demon to live in rice, and to get converted into worms in the stomachs of people who ate rice during Vaikunta Ekadasi. Such is the holiness of this day. (Gateway to heaven) will be directly greeted by the Lord Himself when they die. The third legend associated with this day talks about a demon Mura, who troubled the Gods, who went to Lord Vishnu for help. The Lord created Yoga Maya, to kill the demon and once the task was completed, the God renamed Yoga Maya as Ekadashi and granted a boon saying whoever fasted on that auspicious day would be freed of all sins. The fourth legend associated with this day talks about King Ambarisha, who observed a strict fast for 3 days and was just about to break his fast when Sage Durvasa visited him. When the king offered food to the sage, he went to the river to bathe before eating. Though the king patiently waited for the sage to return, he was worried about not breaking the fast because if he did not break the fast before sunset, his fast would not count and if he broke his fast without the sage’s presence, it would be immensely disrespectful to the sage. So, the king had a little water in an attempt to pacify both. The sage, on returning, figured out what happened and he furiously threw a blade of his hair in an attempt to kill the king. Lord Vishnu sent His sudarshan chakra, thus destroying the hair’s power, and it started following Durvasa himself. Sage Durvasa realized his mistake and asked for forgiveness from the Lord who told him to apologize to the king. The Lord told him that He was dependent on His devotees and that He would not tolerate any injustice towards them. The most important thing to keep in mind is to avoid rice at any cost on this auspicious days. 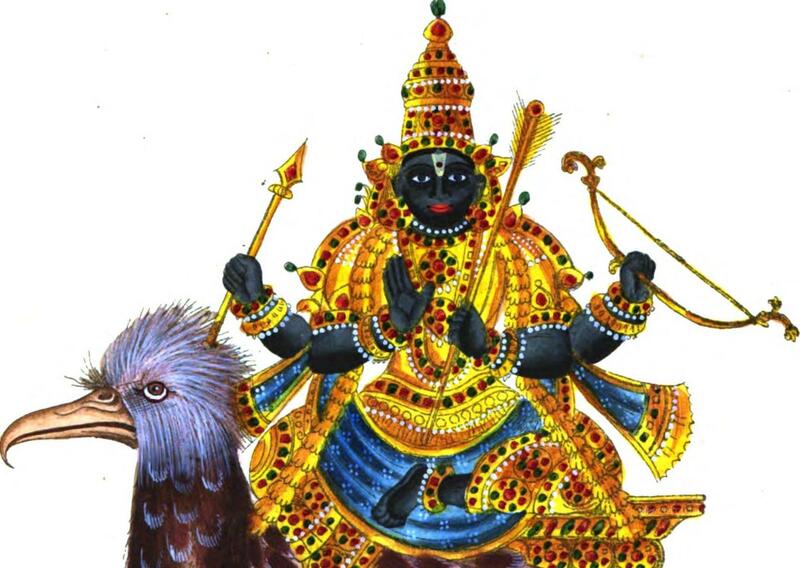 Vaikunta Ekadasi falls on the 11th day of the waxing moon in the Tamil month of Maragasirisa (December-January). 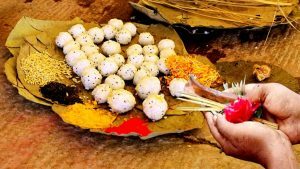 Science explains why we fast on Vaikunta Ekadasi Why 14th April is considered the first day of Hindu New Year Why do we offer food to God before eating it? Why do we offer food to the crows?